Every MacBook or laptop user wants a charger in the top condition because it is an important thing to keep the device running. Imagine a scenario; you are giving a presentation on a MacBook Pro or editing the final code file of your project and your system runs out of power. You promptly find its charger and attaches it to the power source but the cord is broken or your MacBook Pro charger just stops working! Don’t want that situation, right? 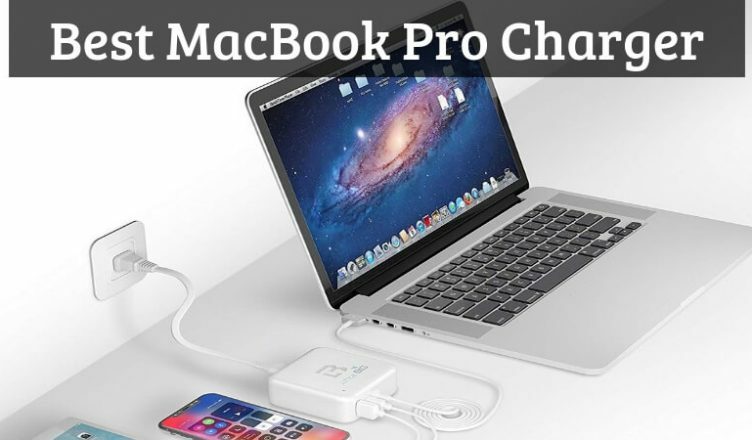 But, I already have faced such scenario and that’s why I want every MacBook user to check these best MacBook replacement chargers and get one for their system. Even if you have the original one, I recommend keeping one extra power adapter for a backup. If you have a previous generation MacBook of 13.3” or a MacBook Pro of 13”, then this is the best charger replacement from the Apple itself. This 60W original power adapter is a high-quality product which will provide enough power to keep your system up and running. It comes with a magnetic DC adapter and an AC cord for a sufficient charging of the system. This power adapter works perfectly with the Apple 13-inch MacBook Pro and previous generation 13.3-inch MacBook. The LED lights will indicate the current status of the power to help you monitor the source. It has a smart, space-saving design to make it extremely portable and desk-friendly. Due to the magnetic connection, this charger will disconnect quickly to prevent overcharging issues. This charger is another top-quality product for powering up your MacBook Pro systems. 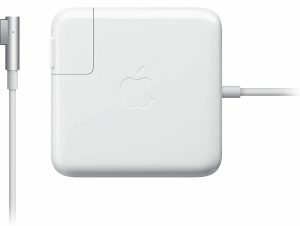 If you have a 15” or 17” MacBook Pro, then this power adapter is a perfect unit for you. 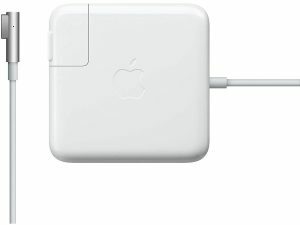 The AC power cord attached to the magnetic DC connector will provide ample power to keep your MacBook Pro up and running as long as you want. It is ideal to use as an extra adapter for your modern as well as previous generation MacBook Pro machines. If there is any risk of the over-current or over-charging, then this adapter will automatically disconnect the power from the system to prevent any damage. The LED indicator will help you to know the current status of the power. Its lightweight and sleek design make it travel-bag friendly and easy to carry. It is compatible with all the 15-inch and 17-inch MacBook Pro machines. The inbuilt quick charging USB 3.0 and USB C ports in this charger from Little Big are the first-ever in the market. It will charge your on-the-go devices in no time and will provide you an ample time to enjoy using your MacBooks and NoteBooks. It is one of the coldest (!) 60W chargers which will run safely during the charging cycle to prevent overheating problems. The T-tip connector design will not make the connection lose from the socket so that it can deliver optimal charging performance. It is compatible with MacBook Pro Retina 11” & 13” models of 2012 to 2016. It has a high-tech, soft touch design with a sturdy built for providing durable operation. Apart from the MacBook Pro, you can also use it for charging your iPhone, iPad, S8, LG, Note8, Google Phone, and other devices. You will get a one-year warranty and a 24×7 customer-friendly support from the company. This fully protected and durable MacBook charger from Oriflame will help you to run your system as long as you want without worrying about the overcharging or overheating issues. Its L-tip protecting design will prevent charging/discharging, short-circuit, and any other power related problems. It is an ideal replacement charger for Mac users. It has a smart space-saving design which will allow you to carry it anywhere you go while using your MacBook. It is compatible with the part numbers like A1342, A3330, A1278, A1181, A1184, A1185, and A1344. At the head of the DC connector, there is an LED located which will show the current status of the power to the machine. This charger is CE, ROSH, FCC, and ETL standards certified which assure the quality of the product. 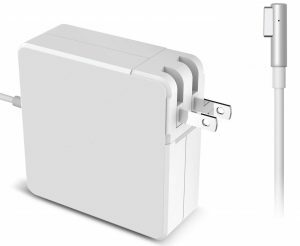 The included AC cord and AC wall adapter will provide ease of use and convenience at home or during travel. You can select from the L-Tip or T-Tip designs of the charger. The included velcro will help you to store the 5.9-foot charger adapter neatly while not in use. With the universal compatibility to the type-C USB devices, this wall charger is helpful for the MacBook, iPhone, iPad, smartphones, and NoteBook users to keep their devices up and running. This Nekteck charger will provide faster, power-efficient, and user-friendly charging output with its 24-pin terminal. 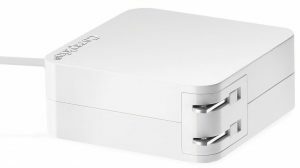 If you have a 2017 model of the MacBook Pro, then this replacement charging unit can be an ideal choice for you. It supports MacBook Pro, Nexus 5X/6P, Nintendo Switch, Pixel 2 XL, Kindle, Chromebook, Lumia 950, and other type-c USB devices. This charger has three smart-charging USB-A ports to which can power up to three devices at once. It is certified by the UL, CE, FCC, USB-IF, TID-12000067 standards which means it will provide efficient operation for a longer duration. This USB Type-C charger replacement will protect the device from the over-charging, over-current, and over-heating consequences. You will get a one-year warranty from the company for this product. 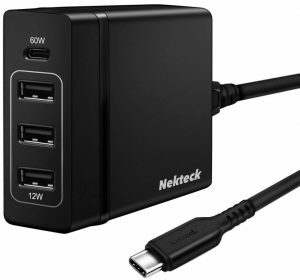 In this package, one USB charging stand station and one USB type-c 3-foot cable are included. This charger from Makalyassss is a perfect power source for the 13”, 15” and 17” Apple MacBook Pro models. You can even connect the wall extender cable to this unit if you are sitting at a long distance from the wall adapter. The first-generation L-Style connector is compatible with early 2006 to mid-2012 MacBook models. It also supports T-style Magsafe 1 Mac connectors. The LED indicators will let you know the status of the power (Amber light – charging, Green light – fully charged). It is made from the ABS and Polycarbonate material which will add an extra value to the quality and safety of the product. This 85 W charger with a 3-4 feet attached cable will provide ample power to keep your device up and running. You will get a one-year replacement warranty from the manufacturer. 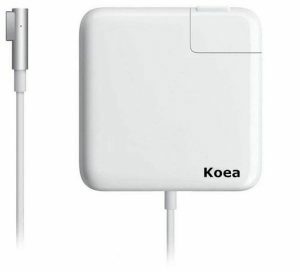 If you have a MacBook Pro model of before mid-2012, then you can get this replacement power adapter from Koea. 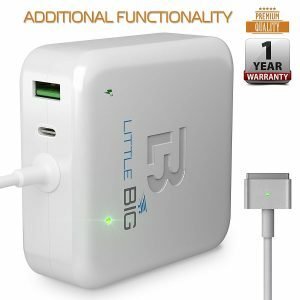 The company claims it to be the highest-quality 60W charger replacement for Mac in the market. It will function like your original Mac charger yet available at an affordable price which is its top selling point. The first generation Magsafe 1 magnetic L-shape connector is compatible with the T-style Magsafe connectors. The state-of-the-art material makes it collision-resistant and high-temperature proof adapter for a durable work. It supports the Apple MacBook Pro models like MB990, MB991, MC118, MC700, MC374, MC375, MD313, MD314, and fits A1330, A1344, 661-4269, etc. The LED lights will help you to know whether your MacBook is in the charging mode or is fully charged. You will get a lifetime replacement warranty from the company which shows how the company trusts its product. Check the manufacturer website for more details. 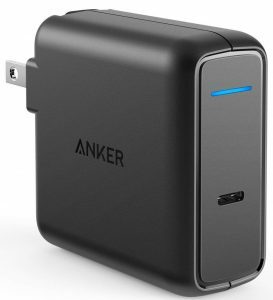 Anker is a well-known & leading company for providing computer accessories like WiFi adapters, modems, USB drives, wall chargers, etc. This USB type-c charger from the company is also a great product to keep your MacBook Pro machine powered up for a longer time. The exterior of this wall charger has a hard matte finish with high-gloss detailing to give it a sleek look. It is compatible with both the MacBook Pro and MacBook Air models of 2018 and more. You can also charge your laptops, iPhone & Android cell phones, tablets, etc. with the help of this power adapter charger. The all-around protective technology from Anker will provide superior safety to your devices to prevent any over-heating or over-current issues. It has a foldable plug with an ultra-compact design which makes it extremely portable for the travel purpose. The blue color indicating light will help you to see that your device is on power. In this package, you will get one USB type-c power adapter and one instruction manual. Anker provides an 18-month warranty & a customer-friendly support on this wall charger to allow you having a worry-free purchase. There are many charging units available in the market which claims to be the best MacBook Pro replacement charger with a cheap rate. And it may look tempting to go with such options, but it is not worthy to spend your money on buying a power replacement for your device like a MacBook. Because such power chargers can create issues in the working of the machine by passing insufficient current through their low-quality material of the adapter and cables. So, you should always look for a high-quality charger for replacing your current MacBook power adapter even if you have to pay a couple of bucks more. All the products mentioned in the list here are tested and reviewed by the experts. They will work efficiently for your MacBook Pro machine. You can choose any of them depending on your MacBook model and your budget. I recommend identifying the manufacturer website to check the compatibility of the charger with your NoteBook computer to avoid any trouble. You can share your thoughts on the products in the comment section below. Thank you for staying so far.